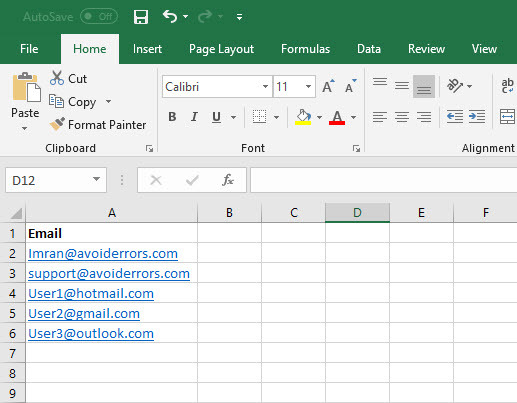 Microsoft Excel is Microsoft advance data analytical tool on which we can perform a lot of data related operations like getting an insight of data, getting charts using the same data so that we can easily analyze the numbers in graphical form as well as it has advanced statistics and mathematical operations. 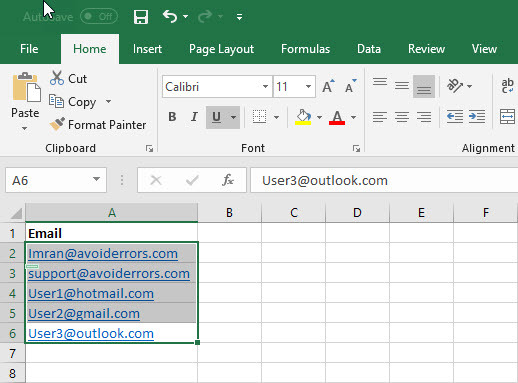 We can also perform logical operations on our data using Microsoft Excel. In this tutorial, I will explain how we can split the data as per our requirement. 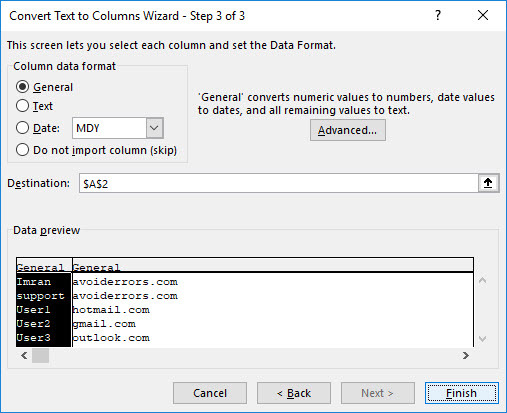 To split the data in Microsoft Excel follow the following steps. 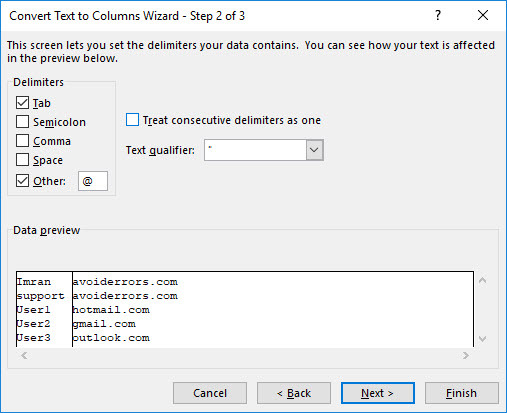 Let’s say we have an email address of hundreds and thousands of people and we want to separate or extract the domain from those email addresses we will use split data function which is named as Text to Columns in Excel. 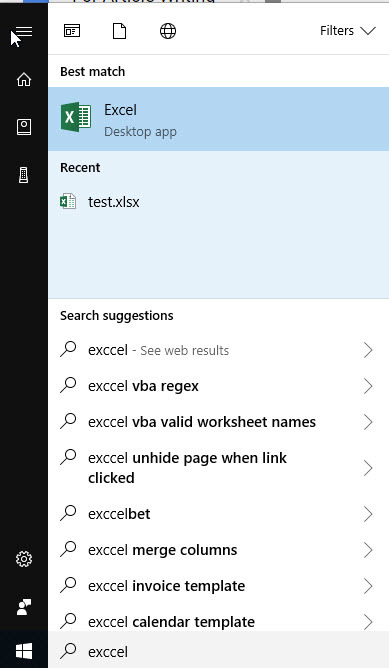 Click on the start menu and start typing Excel it will open the Excel for you for double-click to open the file where you have data that needs to be split. In this example, you can see that we have email addresses with different domain names and we want to separate them after the @ sign. Let the data that you want to convert or split. 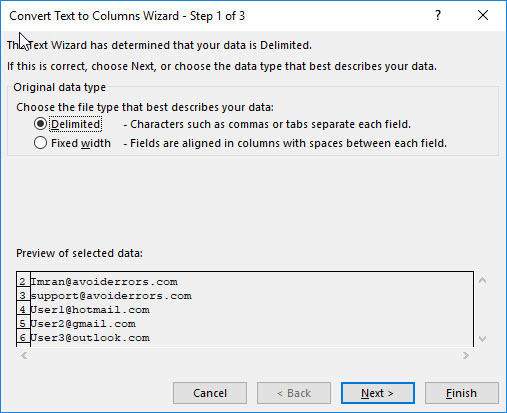 Click on the data tab and then click text to columns option in the data tab. 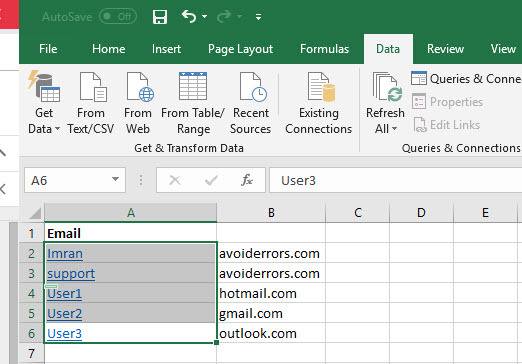 You can see that data after @ Sign has been moved into next column and now you have the domain names of those email addresses.